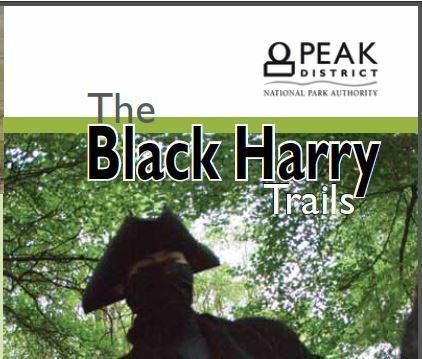 The Black Harry Trails, almost 20km of open countryside suitable for hiking, cycling and horse riding, providing visitors with a mixed range of picturesque scenery. 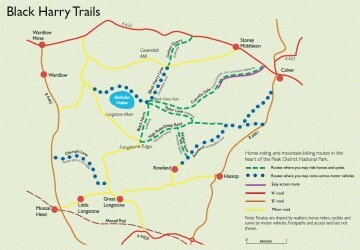 The Black Harry Trails can be accessed from the village of Stoney Middleton, Bakewell, or directly from the Monsal Trail. The trails are signposted thanks to recent work undertaken by the National Park Authority, although the terrain can be both steep and uneven in places, therefore cyclists will require more rugged bikes. The Black Harry Trails are also intersected with a number of other walking trails including the Stoney Middleton Heritage Trails. The Black Harry Trails cover a large area of limestone heath which supports unique plant life and provides a special habitat for wildlife. Acidic and lime-rich plants grow together in a landscape shaped by abandoned mineral workings, now taken back by nature leaving only the undulations in the ground and mountain pansies to mark the spot. Ponds provide breeding grounds for Great Crested Newts while high above birds of prey can be seen flying the thermals. The Black harry Trails pass through Coombs Dale, an area of conservation. A steep sided dry valley cut into the limestone, home to a wide range of nationally important wildlife and a poignant reminder of an ancient landscape long since wiped out in many other parts of Britain. 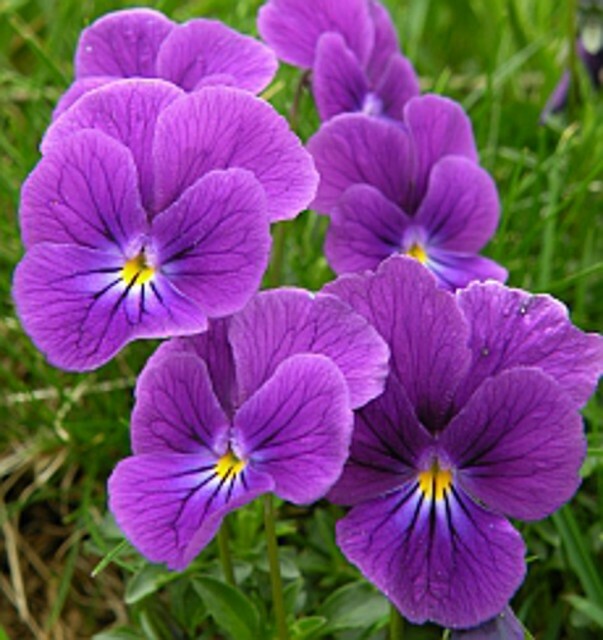 It supports an amazing abundance of attractive wildflowers and rocky outcrops providing habitats to some of the most fascinating plants. Colourful rock plants tumble over the stony terraces rivalling the alpine meadows of continental Europe. The Black Harry Trails are within an area of limestone, resulting from a time over 300 million years ago when the area was under a shallow tropical sea, a time when Britain was closer to the equator. The remains of millions of tiny see creatures accumulated on the sea bed, their skeletons and shells fossilised to form the limestone we see today. Mining has been undertaken in this area for many centuries. The remains of lead mining can be seen by the many hillocks and beehive mine shafts that dot the landscape. While the remains of a lime kiln can be seen at the junction of Black Harry Lane and Middleton Lane. There is evidence of man’s earlier occupation of the area and is evidenced by a prehistoric burial mound, a defensive earthwork, stone and bronze age artefacts and roman coins found locally. The name Black Harry has been used locally at Black Harry Lane and Gate and the former Black Harry Farm. The name is that of a local highwayman of the early eighteenth century who preyed on travellers that journeyed across the lonely moors. Ancient pack horse trails crisscrossed the area and provided easy prey for the scurrilous outlaw. 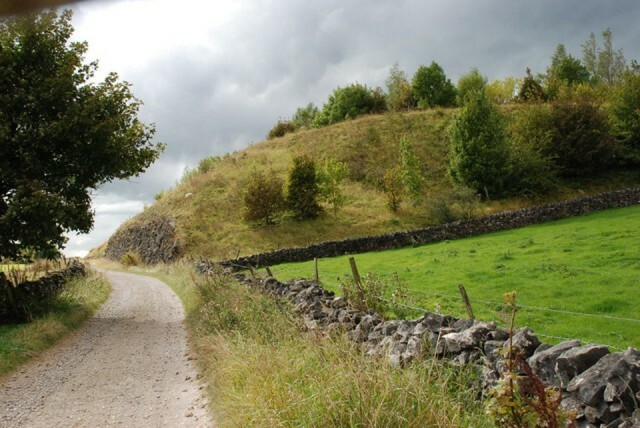 However justice prevailed when he was caught by the Castleton Bow Street Runners, following his trial he was hanged and gibbeted at the Gallows Tree at Wardlow Mires. The Black Harry Trails were recently created with money provided by the Derbyshire Aggregate Levy Grant Scheme. The scheme operates to give back to the community, helping local plans to benefit and further the enjoyment of the National Park. The trails were to provide an opportunity to explore and enjoy this area of special landscape interest. To improve the surfacing of the trails to allow them to be used by more people including cyclists and those on horseback. 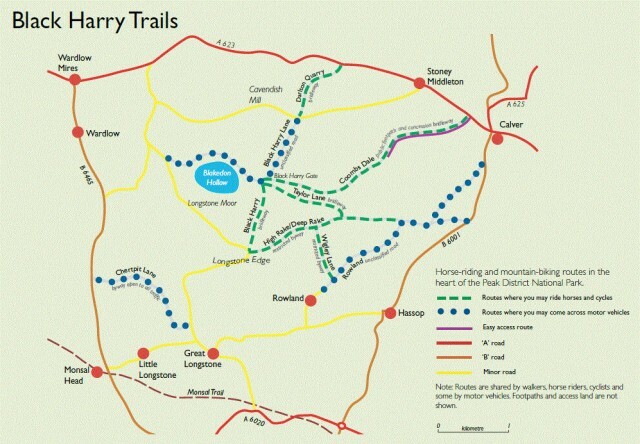 The plan also sought to link up to existing trails in the area in order to form a more comprehensive set of trails, which were to be signposted encouraging their usage among visitors. To involve the local communities in the area promoting a better knowledge of the routes and to encourage different types of users to share and enjoy them. The project was successful and encouraged large scale volunteering who made an enormous contribution to the projects success.